July 13th sees the long awaited return of The Incredibles to our screen in 'The Incredibles 2'. C and E are massive Disney fans and C especially is excited to go and see it in the cinema. He's going to have to get in line though, I was 12 when the first movie was released and I loved it so I've been waiting a long time for this! 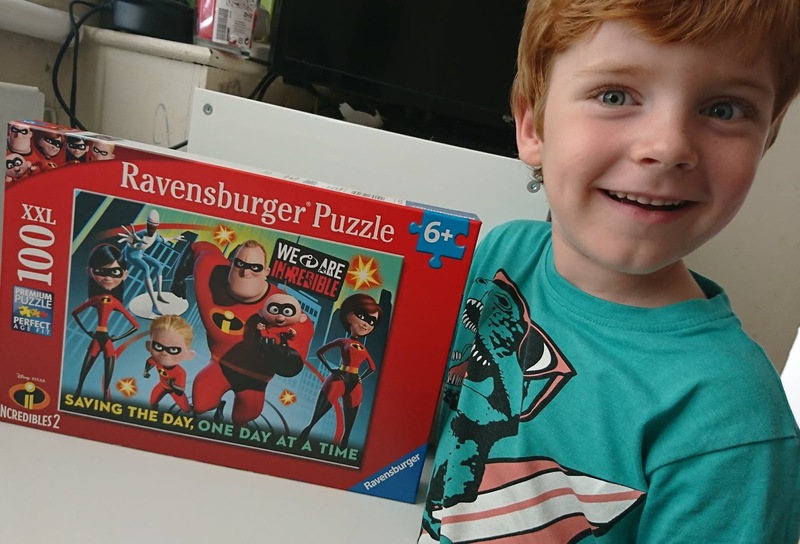 To coincide with the new release, Ravensburger have brought out a new Disney Pixar Incredibles 2 Puzzle! This one is 100 pieces and recommended for children aged 6+. C turns 6 in two months' time so I thought we'd give it a try and see how he got on. He's never done a puzzle of this size before. Straight away, C was really excited to see the whole family (and Frozone) on the box and spent some time telling me all their names. Once we'd opened out the puzzle and saw all the pieces, it was a bit like "where do we begin?!" especially as a lot of the colours are similar with mostly reds, blues and blacks. 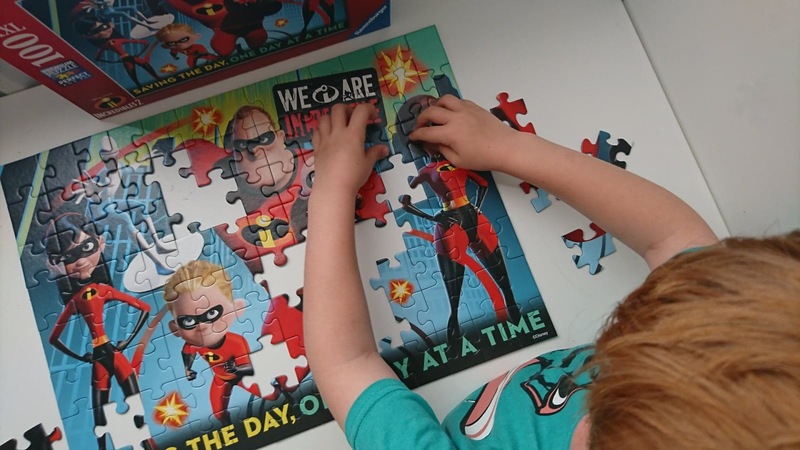 Due to the amount of pieces, C did need a little helping hand from me but once we had sussed out the edges, he enjoyed looking at the finished image on the box to gauge where the pieces should go and which order the characters were standing. The whole puzzle took us around 20 minutes to complete, which I thought was perfect and not too long that C would get bored and want to do something else. He was eager to find that feeling of accomplishment once he'd finished. 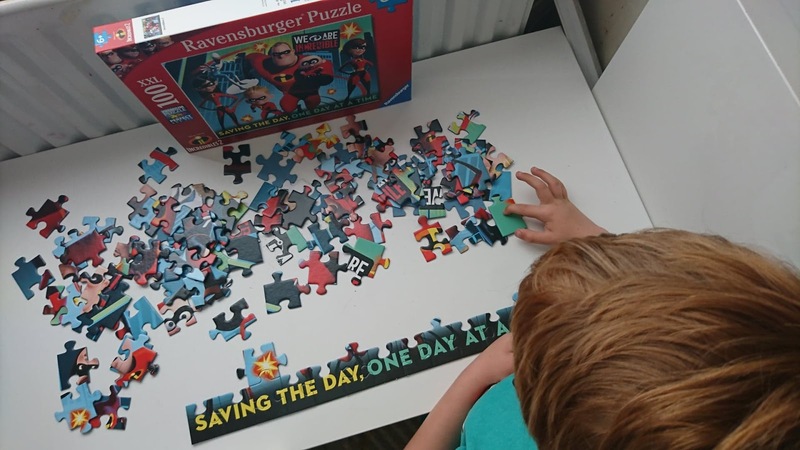 The pieces themselves are perfect, in true Ravensburger fashion, with a great finish and no sharp edges. Doesn't it look fab? We had lots of fun and it's definitely one that we'll go back to a lot. 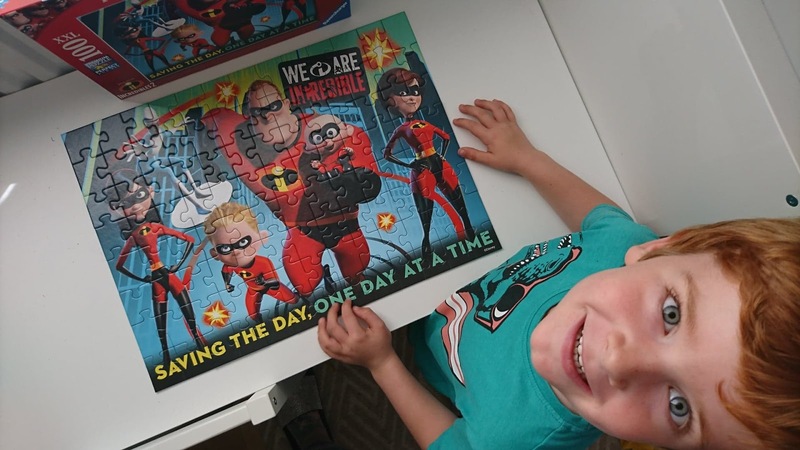 You can pick up your own Disney Pixar Incredibles 2 Puzzle from Amazon for only £8.99.